It was super empty :) A lot of construction on site. If I knew it would take that hotel. Good location, staff wa friendly, place was clean. I will stay here again. Where to find Crested Butte hotels near an airport? 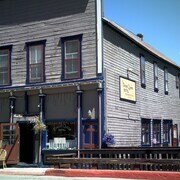 Where can I find hotels in Crested Butte that are near tourist attractions? 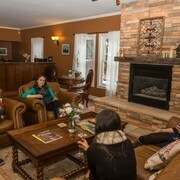 Apartment and hotel choices are plentiful in Crested Butte. There are 23 long- and short-stay options within a 0.1-kilometre (0.06-mile) radius of downtown Crested Butte on our handy accommodation section. 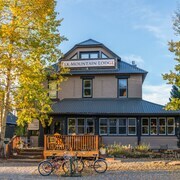 Within a 1-kilometre (0.6-mile) radius of Crested Butte's heart, travelers can find a selection of Expedia-listed hotels, like the The Inn at Crested Butte and Elk Mountain Lodge. Budget-concious travelers can breathe easy. Crested Butte features a good selection of lower-priced hotels. The Gateway Condominiums is 3 kilometres (2 miles) from the main part of Crested Butte, while the The Inn at Crested Butte is 0.2 kilometres (0.1 miles) away. 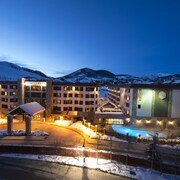 Additional affordable room options are the Elevation Hotel and Spa and the Grand Lodge Crested Butte. 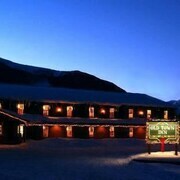 4 kilometres (2 miles) from the heart of Crested Butte, is the Buttes Condominiums. 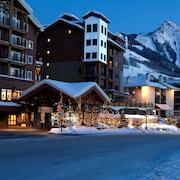 The Paradise Condos - Crested Butte Mountain Rentals is situated 3 kilometres (2 miles) away. Two more alternatives worth checking out around Crested Butte are the Crested Butte Mountain Resort Properties and the Chateaux Condominiums by Crested Butte Lodging. The closest accommodations in Gunnison - Crested Butte include Mount Crested Butte and Gunnison. Mount Crested Butte is 4 kilometres (3 miles) to the north of Crested Butte, while Gunnison is 35 kilometres (23 miles) to the south. Mount Crested Butte accommodations include the Lodge at Mountaineer Square and Three Seasons Hotel Suites by Crested Butte Lodging. 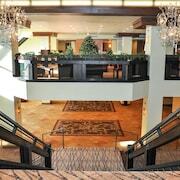 The Holiday Inn Express & Suites Gunnison and Quality Inn Gunnison are some of the accommodation options in Gunnison. If watching sport is what you love, be sure to take a trip to Snowmass Rodeo Grounds, which is 40 kilometres (25 miles) to the north of Crested Butte. Those sports fans wishing to find accommodation near to the sporting action can make a choice from the Viceroy Snowmass or the Woodrun Place. If you are planning on flying via Gunnison-Crested Butte Regional Airport, you might like to book a room at Comfort Inn Gunnison, or Alpine Inn & Suites, which are both a short drive away. 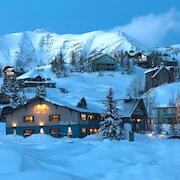 What are the most popular Crested Butte hotels? View 2 Bdrm Corner Condo Grand Lodge- Pool at the Base! Mt CB View! Are there hotels in other cities near Crested Butte? 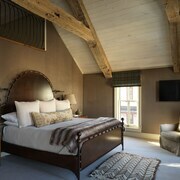 What other types of accommodations are available in Crested Butte? Explore Crested Butte with Expedia.ca’s Travel Guides to find the best flights, cars, holiday packages and more!